…I am hoping that this will help the world of Islam to conquer and the world of kufur to be shaken. The world of kufur is already built on top of rubbish. It is a nonsense establishment. The building of Islam is a castle! A castle that cannot collapse belongs to Islam! … Oh believers, “wa antumul a’launa in kuntum mu’minin” – you are believers you are superior. …When do you receive greatness? “Wa antumul a’launa in kuntum mu’minin“. When is the crown of superiority dressed on your head? If you are believers, if you say, ‘I am a believer’, then you will be great; you will be high…”Wa antumul a’launa in kuntum mu’minin“- if you are believers, Allah (subhanahu wa ta’ala) will give you greatness and honor above the greatness given by Allah (subhanahu wa ta’ala) there is no greatness, finished. …I am Iranian, I am Turk, I am Saudi Arabian, I am Egyptian, I am Sudani, I am Libyan, these aren’t accepted. If you are believers, you are given greatness and honor, you are great, you are great okay…What is Allah (subhanahu wa ta’ala) saying? Ya ayyuha Llathina ‘Amanu Latattabi’u Khutuwati-sh Shaytani (24:21) Is it okay?…It’s not a joke. To Iranians, to Turks, to people of Sham, to those in Hijaz (Arabian Peninsula), India, China, this is for them too. Latattabi’u Khutuwati-sh Shaytani (24:21) – don’t follow the footsteps of satan!…”Wa antumul a’launa” But You are supreme. Oh kings! Allah gave you greatness. They still want, in the Holy Lands, the ladies want. May Allah (subhanahu wa ta’ala) increase the king’s power -give us permission to drive cars- the king’s rank will increase – I am not giving permission. If you shout, if you give me the whole world, I won’t give ladies permission. Good for you, king! Take away the paper oh Muslims. Do not do any business with paper, No. Trade is to be with gold and silver, valuable things. “Man Tashabbaha Bi Qawmin Fahuwa Minhum“. Europe’s Jewish and Christian priests that is what they ordered; they got rid of gold, silver and brought paper. Neither their trade, nor what they sell or buy is halal (permissible). This is Islam, we have honor. Oh kings, listen. This bombardment is not from me. I am not interfering, I am just informing. …O Islam! Where are you? O Shah-e Mardan, where are you? …”Who imitates a people is one of them.” (Hadith) Do not be like them, I am saying. Do not look like them. We sacrificed everything for Europe. Shame on Muslims, shame on princes, presidents, leaders. Democracy what democracy? May Hadrat ‘Ali’s (radi Allahu ‘anhu) sword cut the heads of those believing in democracy. And then what did we do? O, let the Jewish priests come, let’s beg them to give us weapons. What weapons do you need? Say, Bismillahir Rahmanir Rahim. It will destroy all of them, one majzub (attracted one) one who has power to attract. O kings listen! Shah-e Mardan isn’t reading stories! He is Shah-e Mardan, Owner of the Arena, Shah-e Mardan, Ay Habib ar-Rahman! Ay Sultan! 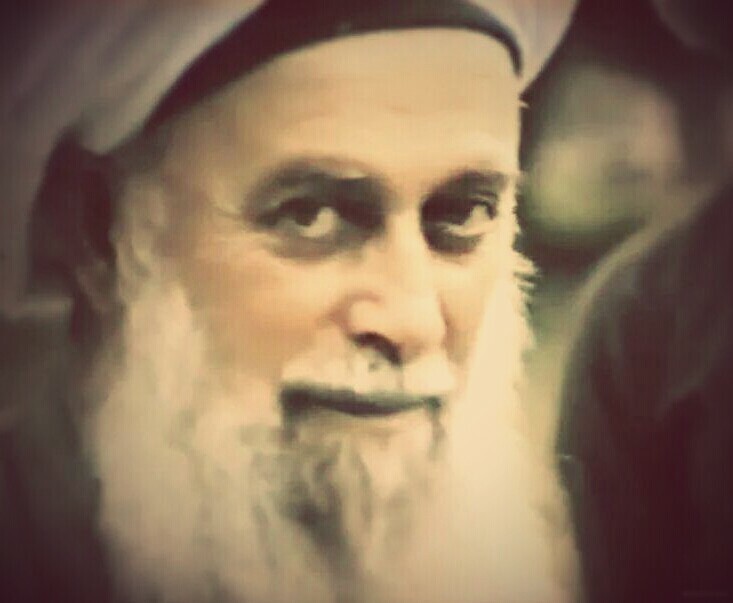 Sayyidina ‘Ali ibni Abi Talib. Shah-e Mardan, Sultan of the Arenas! …Listen. O kings take care of Islamic dress, put crown of Islam on your heads so nothing will harm you. Why are you running after them? Who is China, Russia? Is China, Russia, Europe, or America going to defeat the armies of Allah? We are not making any noise, but the time has come and the sword will be drawn “La Tattabi`Khutuwati sh-Shaytani” (24:21) They are all satans. Do not follow them, Allah (subhanahu wa ta’ala) is saying. O kings, Mursi is sitting on the chair, the chair will sit on his head. This person, that person, leave these games, take care of Allah’s servants, serve His servants. Do not make them servants to you. Parliament assembly. No! It is false. Do not we have Sharia’? When there is Sharia’, why do you make a constitution? (Spit) on your constiution. When there is Allah’s Sharia, Astaizzu BiLlah. “Inna Allaha Ya’muru Bil`Adli Wa Al Ihsani Wa Ita’i Dhil Qurba Wa Yanha Ani Al-Fahsha’i Wa Al-Munkari Wa Al-Baghyi Ya`izukum La`allakum Tadhakkaruna.” (16:90) This is our constitution, The Quran. O scholars of Egypt why are you afraid? Why afraid of ignorant ones? Why don’t you show the majesty of Islam? O Azhar, the ones in Turkey, Saudi Arabia, all of you, fear Allah! Enforce the Sharia’ or else something will come on your heads. Do not kill people. Try to make them live. Take care of Adab. Allah gave you the rank of Islam, don’t use it in the wrong way. …O ignorant ones! We hope Allah (subhanahu wa ta’ala) does not make us from ignorant ones…How can we deal with Muslims? We are the heads, they say. Aman Ya Rabbi! Send us a Sultan who will unite Muslim world and make world of kufur tremble. Send us a Sultan Ya Rabbi! Allahu Akbar! Allahu Akbar! Allahu Akbar Wa Lillahi’l Hamd. Fatiha. This entry was posted on September 24, 2014 by ASFC in Uncategorized.